옛 절터에 남아있는 고려시대의 석탑이다. 2단의 기단(基壇) 위에 세워진 삼층석탑으로 아래층 기단은 현재 땅 속에 파묻혀 있어 그 구조를 명확하게 알 수 없다. 위층 기단은 각 면 모서리와 중앙에 폭이 넓은 기둥이 새겨져 있다. 그 위로 기단(基壇)의 맨윗돌을 얹었으며, 한가운데 2단의 괴임을 깎아내 탑신(塔身)을 받치게 하였다. 탑신은 몸돌과 지붕돌이 층마다 한 돌로 되어 있다. 1층 몸돌은 지나치게 높고, 2층부터는 급격히 줄어들어 균형과 안정감을 잃었다. 몸돌에는 기단에서와 같이 폭이 넓은 모서리기둥을 새겼는데, 1층의 서쪽 면에는 창살이 있는 두 짝의 문 모양과 고리가 얇게 새겨져 있다. 지붕돌은 넓이에 비하여 두꺼운 편이며, 밑면의 받침은 1·2층이 4단씩이고 3층은 3단으로 줄어서 지붕이 더욱 두껍고 경사가 급해 보인다. 처마의 선은 위아래가 모두 수평을 이루다가 네 귀퉁이 끝에서 약간 들려있다. 탑의 꼭대기에는 머리 장식을 받치는 노반(露盤)만 남아 있다. 기단 일부가 파묻히고 부서져 있으나 보존 상태는 비교적 좋은 편이고, 신라 석탑의 전형양식에서 벗어나는 경향이 뚜렷하다. 상하의 균형을 잃어 거친 느낌이며 각 부의 짜임새나 제작수법도 둔화되었다. 만들어진 연대는 고려 중기 이후로 짐작되는데 이 시기의 석탑으로는 시대성을 잘 나타내고 있다. 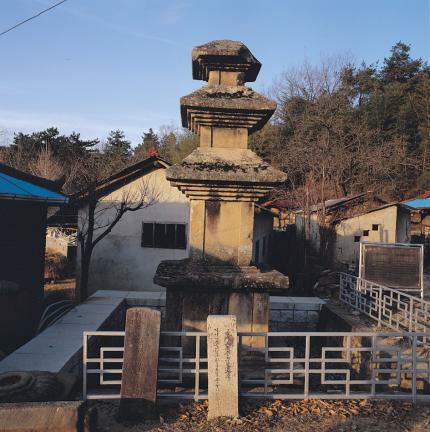 This pagoda was built at the site of a temple in the Goryeo Dynasty. It is a three-story structure, standing on a two-story stylobate. The lower stylobate is buried under the ground so that the whole structure cannot be clearly seen. Broad pillar patterns are engraved on the corners and middle parts of the upper stylobate. 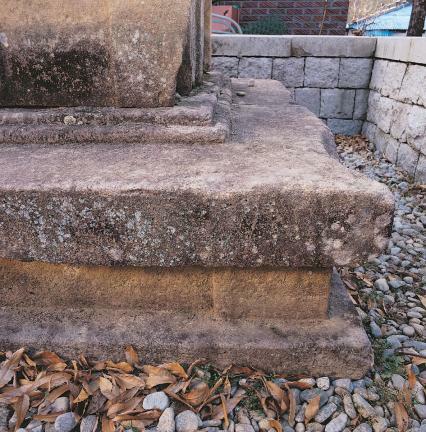 A broad square stone was laid on the upper stylobate, while the center part of the square stone was made into a two-tiered base to support the main body. 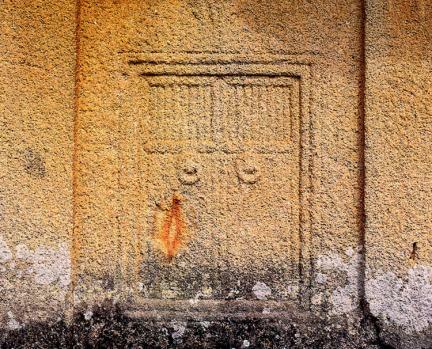 The main stone and the roof stone are composed of a single stone for each floor. The whole structure looks unbalanced and unstable because the main stone of the first story is relatively high, while the rest of the stones are far smaller than the first. 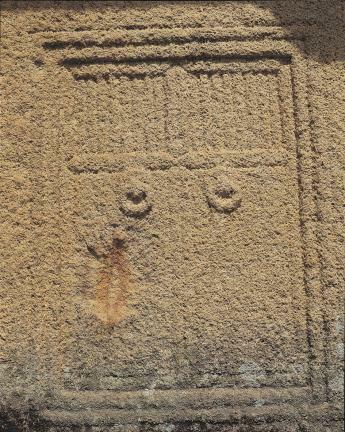 A broad pillar design is engraved on the body stone, while designs of two doors with bars and door rings are engraved on the west side of the first story. The roof stones are thick compared with their width. Whereas the first and second stories have four-tiered base each, the third story has three-tiered one, and therefore, the roof looks relatively thick and steep. The upper and lower lines of the eaves are leveled, and the corners are curved slightly upward. 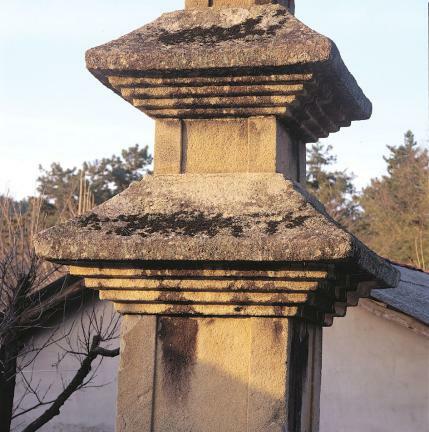 At the top of the pagoda, only the finial base supporting the ornaments on the head remains. Although this pagoda was partly destroyed and buried, it is in a good state of preservation. 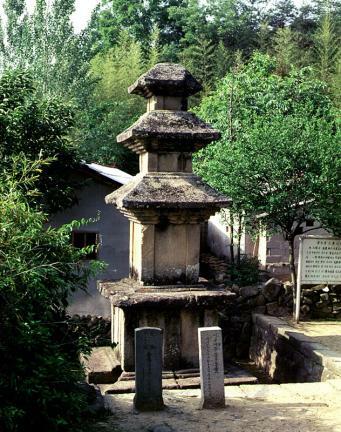 However, it is far from the typical stone pagoda of the Silla period. The upper and lower parts look so unbalanced that it gives a rough impression, and the framework or the finishing skills became dull. 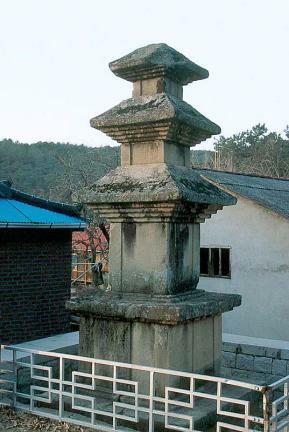 It is assumed that the pagoda was built later than the middle of the Goryeo Dynasty, and it is considered to represent well the typical stone pagoda of that period.